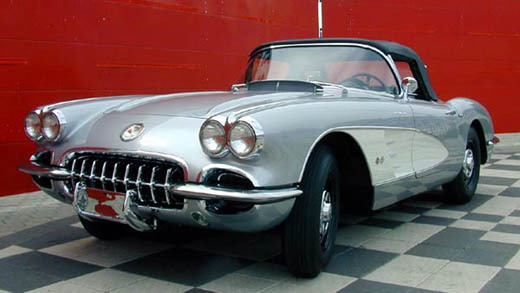 The 1959 Corvette was almost identical with the 1958. Only the hood louvres and chrome trunk spears were removed and a black interior color were available. But what a car this is.